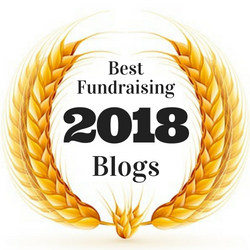 Originally published in 2008, “Fundraising in a Recession – 7 Tips,” became one of the most read and downloaded articles on my original website, Pamela’s Grantwriting Blog. Surprisingly (or perhaps unsurprisingly), time has only reaffirmed the principles originally cited in this piece, which I wrote to help fundraisers through a time of economic crisis. 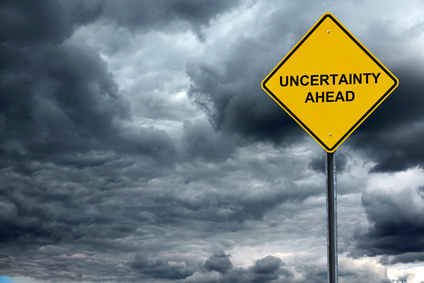 Can the same principles guide you now, in a climate of deep political uncertainty, when many organizations are seeing government funding dry up? “I just wrote an offer for $435K!” a good friend, one of the most successful federal grant writers in the country, told me about her recent real estate endeavor. “Good thing, too,” she added, “because there are NO GRANTS right now.” She then revealed to me that she hasn’t worked since May! I’ve updated “Fundraising in a Recession – 7 Tips,” with an eye toward the current funding climate. By adding insights and omitting what no longer stands in 2017, I think I’ve made this piece relevant for today, and hopefully, it provides nonprofits with both clarity and comfort, here and now. 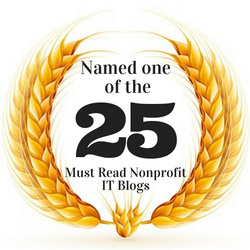 Unfortunately, the world of nonprofit development can be notoriously fickle and unfocused. Clearly, we are in a political and economic upheaval with no end in sight. The key here is not to panic. Despite the adversity, you can fight it and ultimately meet your goals and, yes, even move forward and prosper! 1. Stay the course. Develop a balanced, thoughtful approach that includes realistic goals for grants and corporate support, individual support, program support, and events. Plan for “multiple streams of income,” while developing a sharp focus toward maximizing those activities which bring you the highest yield. Giving USA’s annual report on philanthropy reveals again that giving by individuals comprises 72% of all US charitable contributions. Foundation support comes in at 15%, with corporate support making up a mere 5% of all giving. 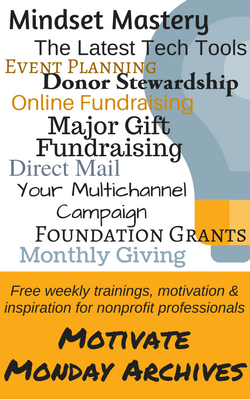 Does your organization have a planned giving program? Or, at the very least, a tagline? 2. Retain staff. This one is vital. 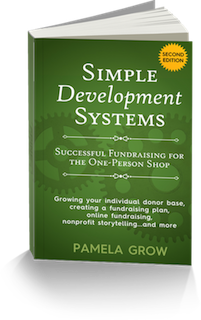 I have worked with nonprofit organizations who have had – seriously – five development directors in three years! How can an organization expect to build any kind of continuity with their donors in the face of that kind of record? Staff your organization with quality individuals and do your level best to keep them. If you’re not providing your development staff with training, you’re doing your organization a grave disservice. Yes, workshops, classes, and seminars can be expensive, but cost-effective training is out there, so explore your options. Consider investing in online training, like Basics & More, which bring your entire team on board. I’m saddened to report that I’m already seeing dedicated development staff laid off. “Oh, the board brought on a marketing expert who will be volunteering for fundraising,” one told me. This is a development director who has seen extraordinary wins during the past six years, establishing a robust individual giving program and monthly giving program and strong community support. The sheer stupidity of that board and ED boggles my mind. Keep your development staff and support your fundraising staff. And explore this further by downloading our white paper, Encouraging Longevity in Nonprofit Development: What It Takes To Keep Your Development Director. 3. Research, research, research. Foundation giving is on the upswing. Giving USA revealed that grantmaking increased 3.5 percent to an estimated $59.28 billion in 2016. Remember, foundations are created with the sole purpose of supporting philanthropic causes – regardless of the state of the economy or the political climate. To maintain their legal status, Foundations MUST donate an amount equal to 5% of their assets averaged over a period of five years. Foundations also often INCREASE their giving in challenging times to offset decreases in giving from other sources. As a small shop development director, you’re often doing the jobs that would make even a seasoned CFRE blanch. You know what I’m talking about: website design, event planning, mail-merging, stewardship, social media, copywriting, database management and more… So having the time to write and manage major grants is simply not gonna happen. I approach Foundation grants with a Warren Buffett mindset. “I don’t look to jump over 7-foot bars: I look around for 1-foot bars that I can step over.” What does that mean, exactly? Just this: the smaller to mid-sized foundations typically have less cumbersome application and reporting processes. They’re also much more open to providing general operating support. And often you can complete a Common Grant Application form that is accepted at many foundations. By making foundation research a priority and regularly scoping out new sources of foundation funding, and putting my focus on the small to mid-sized foundations (with far less onerous application and reporting guidelines), I’ve always been able to build and maintain a healthy core base of foundation funding. That said, you need to make it a practice to routinely scope out new sources of foundation funding. I was recently asked, “After so many years, don’t you run out of new potential foundation funders?” The answer is a resounding “no!” Not if you keep your eyes and ears peeled and engage in weekly research. 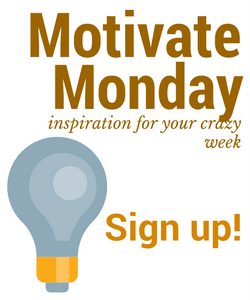 Develop a system where you’re phoning foundations, and sending out proposals or letters of inquiry to new foundations on a weekly basis. Build relationships. 4. Recognize the power in numbers. 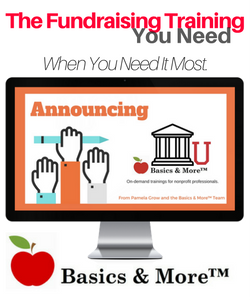 The holy grail of nonprofit fundraising has always been major gift fundraising. 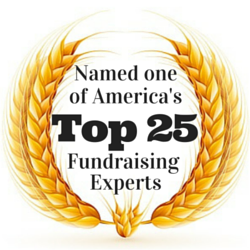 And there’s no shortage of gurus teaching nonprofit organizations how to grow their major donor programs. But what if part of the answer to sustainable funding lay in your small dollar donors? If this election and the aftermath has taught us anything, it should be a lesson in pure people power to transform fundraising. Have we forgotten how, in a single day, Bernie Sanders campaign raised a staggering eight million dollars, all in small contributions averaging $34 each? And we’ve all heard of how the ACLU raised over $24 million over a single weekend from 356,306 online donations, many of them monthly. Normally, the ACLU raises just $4 million a year through their online giving program. Establishing a strong monthly giving program is a no-brainer. If you’ve got donors who are giving you $1,000, $100, even $25 every year, they’re prime candidates for a monthly giving program. If you don’t already have a monthly giving program, step back and take a deep breath. You needn’t approach this as a huge endeavor when you’re just starting out. Try for some seamless integration instead. Introduce it with your next annual appeal – as a P.S. Talk to your bank about an EFT option. Monthly giving has been a popular tool in the UK for years. Get on board and take the steps now to make yours happen. Give donors the option of monthly credit card or checking account debits. Launching yours is easier than you may think! 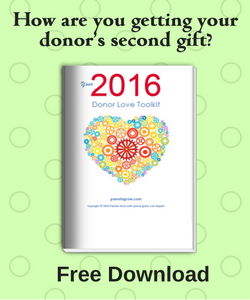 Consider including a monthly giving ask in your new donor welcome pack. Definitely schedule at least one dedicated monthly giving ask in your communications plan every year. Since our original article was originally published, Erica Waasdorp has written Monthly Giving. The Sleeping Giant. How Small Gifts Can Be Powerful Tools to Support Any Organization. 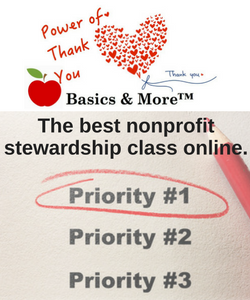 With Erica’s input, we came up with the quintessential course on creating and growing your organization’s monthly giving program, Nonprofit Monthly Giving | Basics & More. 5. Refine (or define) your story. Benevon calls it an organization’s “emotional hook,” and rightfully so. Your nonprofit’s “story” – what inspires donors to give to you — is a downright powerful tool when used the right way. The most compelling stories bring on a bout of the crocodile tears, among other emotional reactions. Talk to your board members, talk to your clients, talk to your staff, talk to foundation funders and individual funders to find your emotional hook. Bring your mission to life by injecting it with vivid color. The way only storytelling can — and does! 6. Diversify. Your fundraising is a puzzle and you want to activate each piece. Think in terms of “multiple streams of income.” If you have a solid and engaged volunteer base, even smaller nonprofit organizations can host modest (but profitable) events, create a crowdfunding campaign and operate a neighborhood thrift store (or sell on eBay — for a price!). Many smaller organizations have their own used book stores, bringing in $25,000 to $50,000 extra yearly. Get creative with it! 7. Steward, steward, steward. It doesn’t have to be on a weekly or monthly basis but it absolutely needs to be consistent. 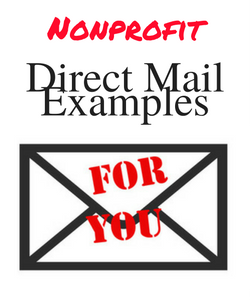 Donors would rather be kept notified on a timely basis in a simple manner than receive a glossy magazine publication (that makes them wonder what the heck you are doing with their money) once every two years. How are you sharing the impact of what your donor’s gift makes possible? 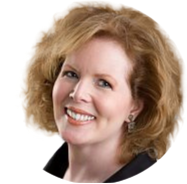 Of print newsletters, Lisa Sargent notes, “You simply can’t beat newsletters for retention – and you’ll find that if you do them well, they raise money too: I have clients seeing double-digit response rates from theirs… and one that raised a €10K euro bequest! 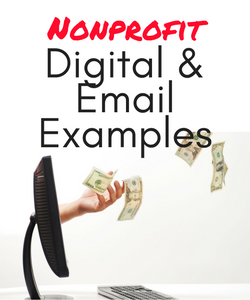 These are your retention engines.” If you’re finding that the majority of your donors are online, consider an email newsletter as well. But, by all means, don’t drop your print newsletter. Now is the time to set aside an hour, two hours – whatever you can spare – every week to both phone and visit key donors one-on-one. Don’t make that age-old mistake of only querying your donor database for your largest donors – pull up your most loyal donors and thank them, profusely and with genuine gratitude. Focus on your organization’s most loyal donors – take them to lunch, to tea, drop by with a basket of home-baked goodies. Use your imagination. It’ll be worth it. 8. Adopt a wholly donor-centered mindset. 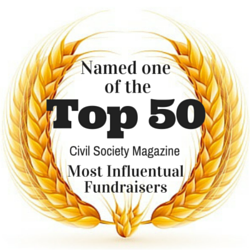 Our goal, our job as fundraisers is to fund our mission. When practiced — both consistently and well — donor-centered fundraising is the best and most reliable method of getting you there and growing community and strong individual relationships in the process. Great fundraising is focused on the long-term — taking that donor from the first-time gift…to lifetime. And it’s built around the science of human behavior and what actually works. How are you using data to better know your donors? 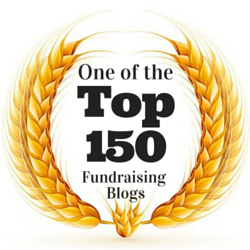 Is your organization’s website focused on your donors — and what their support makes possible? Are you regularly surveying donors and soliciting feedback? Remember, don’t panic, despite our trying times. Keep your eyes and mind wide open and approach your fundraising with creativity, imagination, and a keen eye toward building and maintaining the kind of donor relationships that last. You’ll be on the right track to fight whatever battles come your way. Previous post: Sure, cats are cute, but the power lies in the story…especially a story by video! Sure, cats are cute, but the power lies in the story…especially a story by video!